Apriva offers a dynamic choice of payments integration opportunities for mobile and web-based solution integrators through iOS and Android mobile SDKs, Web Services and XML. Through these secure integration channels, integrators have the ability to provide credit and debit card acceptance for swiped and manually-keyed transactions along with the ability to perform card-on-file transactions supporting recurring payment or subscription-based solutions. Key features include support for credit sale, partial authorization, convenience fee capture and refund. In addition, impactful documentation and sample applications simplifies development efforts and helps bring your solution to market faster. Integrating to Apriva provides the integrator with the ability to take advantage of the powerful and secure EMV-ready Apriva Payment Gateway, supporting several leading processors for authorization and settlement of many different payment methods, the integrators solution will have the ability to support a wide range of back-end merchant financial relationships. Apriva is the integrator’s strategic payments partner. CircleCI is a scalable, hosted Continuous Integration and Continuous Delivery service, that lets developers build, test, and deploy better code, faster. Simply sign up with your GitHub account, follow your project, and set up your build and tests in no time. Then add automated deployments to your choice of production hosting provider to completely automate your workflow and maximize your productivity. Clover is the open platform for brick-and-mortar commerce. As the fastest growing Point of Sale (POS) platform in the US, Clover offers developers the opportunity to reach merchants at scale. Clover is backed by First Data, a market leader processing roughly 50% of global card transactions across 6mm merchants. Make a difference and transform the way merchants run their business with time-saving, intuitive apps on the Clover App Market. Hundreds of App developers are building successful businesses on the Clover platform. Join them! Best use of Esri ArcGIS mapping technology wins $5,000 prize ($2500 cash, plus $2500 ArcGIS Online subscription). ArcGIS is the Location Platform for Apps. Quickly add geo to your apps using Esri's online services and SDKs. Develop in the API of your choice and deploy on any device. Sign-up for a free developer account at http://developers.arcgis.com using voucher, DISRUPTSF15. Our Developer Accounts provide you access to ready-to-use content (points of interest, demographics etc), Geofencing (Geotrigger Service), Directions & routing, Spatial Analysis, Offline support, Visualization, Geocoding, Imagery, and more. Stop by Esri’s table during the event to learn more. We will have full stack developers’ onsite to support your hacks into the wee hours of the night! Are you developing for wearables? Just like everyone else? C’mon that’s too easy. Challenge yourself on something bigger…like a car! Join the FordDev team at the Disrupt SF hackathon and build a Driveable with SYNC AppLink. Use real time vehicle data such as GPS, Fuel Level, Oil Life, and Seat Belts Status to create an app with cool features that take advantage of the all new SYNC 3 system. IBM Watson is the world's leading Cognitive Computing platform. The Watson Developer Cloud offers a variety of services for building cognitive apps. With innovative APIs including everything from Cognitive Expansion to Concept Extraction, Personality Insights and now the Alchemy API, IBM Watson is ready to help you build a smarter planet. IBM Bluemix enables organizations and developers to quickly and easily create, deploy, and manage applications on the cloud. Bluemix is an implementation of IBM’s Open Cloud Architecture based on Cloud Foundry, an open source Platform as a Service (PaaS). Bluemix delivers enterprise-level services that can easily integrate with your cloud applications without you needing to know how to install or configure them. Bluemix enables organizations and developers to quickly and easily create, deploy, and manage applications on the cloud. Bluemix is an implementation of IBM’s Open Cloud Architecture based on Cloud Foundry, an open source Platform as a Service (PaaS). Bluemix delivers enterprise-level services that can easily integrate with your cloud applications without you needing to know how to install or configure them. Kinetise is the only tool that let you build a powerful native mobile apps in under 24h. Application is created using drag&drop no-coding editor, which offers a lot of features, full design-freedom and allows for integrations with external, RESTful backend services. Beside a rich set of popular services supported out-of-the-box like Facebook, Twitter, or YouTube, Kinetise may integrate with custom backends as long as they comply with a set of general principles, called AlterAPI. Once the app is designed, it takes under 2 minutes to transform the project into native application that you can try out and showcase immediately on your iPhone or Android handset. We strongly encourage all of you to familiarize with our tool before the event and drop us any question you may have to fully take advantage of this possibility of materializing your mobile app idea. Magnet Message is a powerful, open source mobile communication framework enabling real-time user engagement for your iOS and Android mobile apps. Magnet Message has the features you need to add better, more personalized interactions to apps. For this hackathon, you can leverage our cloud-hosted Sandbox and mobile SDKs for Android and iOS supporting the following capabilities: 1-to-1 and 1-to-many chat, push notifications, public forums, private discussion groups, and more! Reach us at: Visit the MasterCard booth at the hackathon for 24x7 support. User value. Submissions, which solve big problems will be ranked highest. Bonus points for Outlook.com consumer scenarios. Feasibility. The more feasible the solution is to deploy to users, the better. Use of Outlook platform. Submissions which heavily use REST APIs, or build an add-in will be considered top for this category. We’ll provide developer accounts for Outlook.com. Your own accounts will not work… yet! User value. Submissions, which solve the biggest user problems will be ranked highest in this category. Feasibility. In this category, the more applicable the solution is to the widest variety of users the higher it will be ranked. Hack RICOH's newest 360 degree camera, the RICOH THETA S, announced this month but not shipping to customers until end of October. 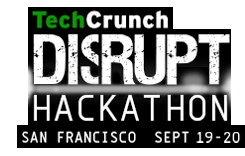 Perfect timing for early access for TechCrunch DISRUPT hackathon participants. YouTube and Google Street Views now fully support 360 images and videos. 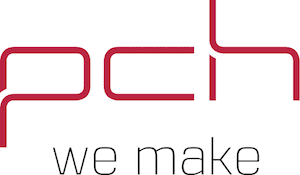 The RICOH THETA API v2 is compliant with Open Spherical Camera (OSC) API Version 1.0 from Google, plus extended to accommodate the RICOH THETA original functions. Official documentation, forums, and unofficial guide all available. SAIFE’s turn-key identity and data security SDK enables you to avoid the vulnerabilities of untrusted networks and threats to your customers' identity and data, with minimal impact to the development and deployment life cycles. Devices and servers automatically and mutually authenticate and can share data securely from behind closed firewalls. Blast data through secure store-and-forward services, real-time data streams, or keep it encrypted and stored locally. Rapid provisioning of new devices; rapid revocation of lost or stolen devices. Patented zero-knowledge password reset with no loss of data. Manage your population via web interface or API. Build on Android, iOS, Linux, and OS X with Java and C++. Get started now with sample code, documentation, and the Getting Started guide. Registration required at SAIFE's site. Software is free for developers. Protect both your brand identity and your customers with the SAIFE SDK! -The Live Pricing Service returns all the flights available for a specific route and dates, with a direct link to the booking web site. -Browse Cache Service is the fastest way of browsing flights and should be used for comparing multiple destinations, origins and/or dates. -The Car Hire Service can be used to retrieve available cars from a range of car hire providers, for a specific pickup and dropoff airport, and specific dates and times. -The Hotels Service can be used to get a list of hotels from a range of providers, for a specific location and dates. Build cutting-edge apps for cars with our advanced connected car platform. Drive your app with the best. We’re backed by top-tier partners like Samsung and First Round Capital. Go to http://dev.vin.li to create and market apps to millions of drivers with our in-car device, SDK and consumer marketing channels. Get telemetry. Know what the vehicle is doing. Rate driving risk automatically. Which route is least risky given my driving patterns? Build event-based apps. Fuel light on? Show the closest gas stations sorted by price. Detect collisions and automatically notify help. Build interactive apps. Based on vehicle data and geofences, build automation into your apps and create something awesome. Deal with problems. Engine light on? Automatically notify roadside assistance with car diagnostic codes. Talk to us @vinlidev or disrupt@vin.li. We’re giving support before the event and 24/7 when it’s showtime. Best use of Vinli's APIs wins $2500 plus a skydiving trip with Vinli + a Vinli device for each team member. Join us for adventure time! We have an extensive public REST API at @WalmartLabs, and all you need is a free key to access it. We have wrappers in Node, Ruby and Java. Our node wrapper is isomorphic, so it works well on the server as well as in a Cordova or React Native application. Our APIs give you access to a world of information about our products and stores. You can lookup products by UPC, search by keyword, get stores by GPS, even get lists of rollback and clearance items. Our food items return a wealth of nutritional information that you can use in a health application. We have even provided starter applications in Express, HAPI and Cordova. The Yammer Platform consists of a set of open APIs and tools that enable you to bring Yammer’s social services to your application. Zalando.com is Europe’s leading online fashion platform – a publicly traded company operating in 15 markets with more than 9,000 employees. Our innovative technologists have built a highly scalable platform with 16.4m active customers and 135m site visits per month, using open source and cutting-edge technologies such as Scala, Go, Cassandra, Clojure, and React.js. We work in small, agile, autonomous teams and follow principles that enable us to produce the most delightful shopping experiences possible. Zalando's public Fashion Feed API offers you access to the personal fashion streams of a specific user (e.g. newest products of loved brands, recommended products, recommended brands and more). Furthermore, it enables you to create entirely new experiences based on the user’s fashion preferences. You can customize styles, optimise the Fashion Feed, or even use it to find dates based on your sense of fashion. Truly stylish!